Hoover Type SR HEPA Allergen Bags have an electrostatically charged inner layer to attract and retain miniscule micron particles. 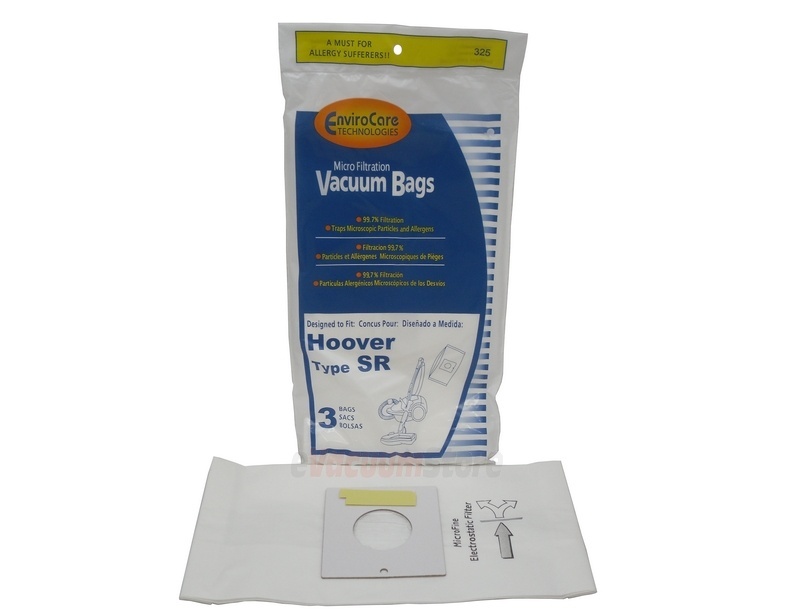 Your Hoover canister vacuum protects your respiratory system and the SR bags aid the unit. 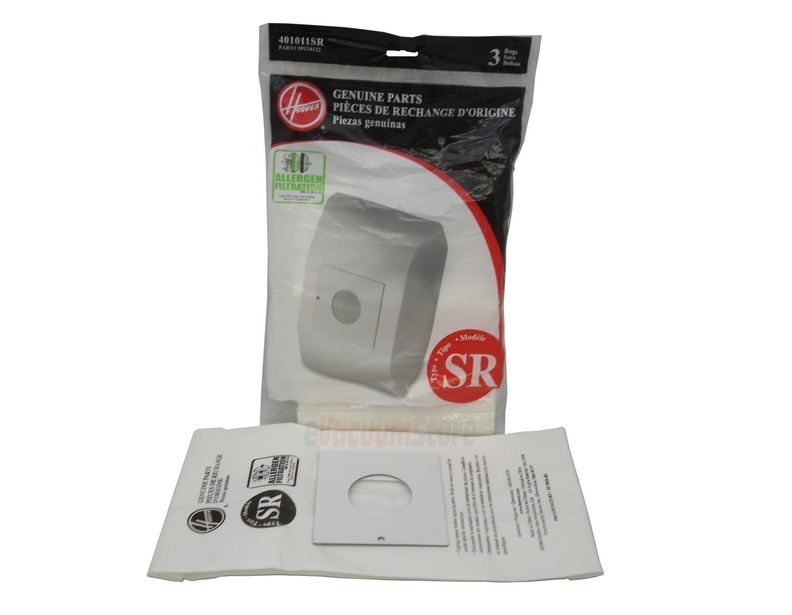 If you have neither fear nor concern for allergies, choose the generic SR bags for a more affordable replacement vacuum bag. Make your life easier by eliminating the hunt for replacement bags for your Hoover canister vacuum cleaner. Whatever you choose, call eVacuumStore.com at (866)-972-8227 to place your order in a prompt and pleasant transaction with one of our knowledgeable associates. Fits: Hoover Duros canister vacuums.